Roy Orbison was an American singer songwriter, best known for his distinctive and impassioned voice, complex song structures and dark emotional ballads. So it is no surprise then that there have been twenty two compilations of his music released since his death in 1988. 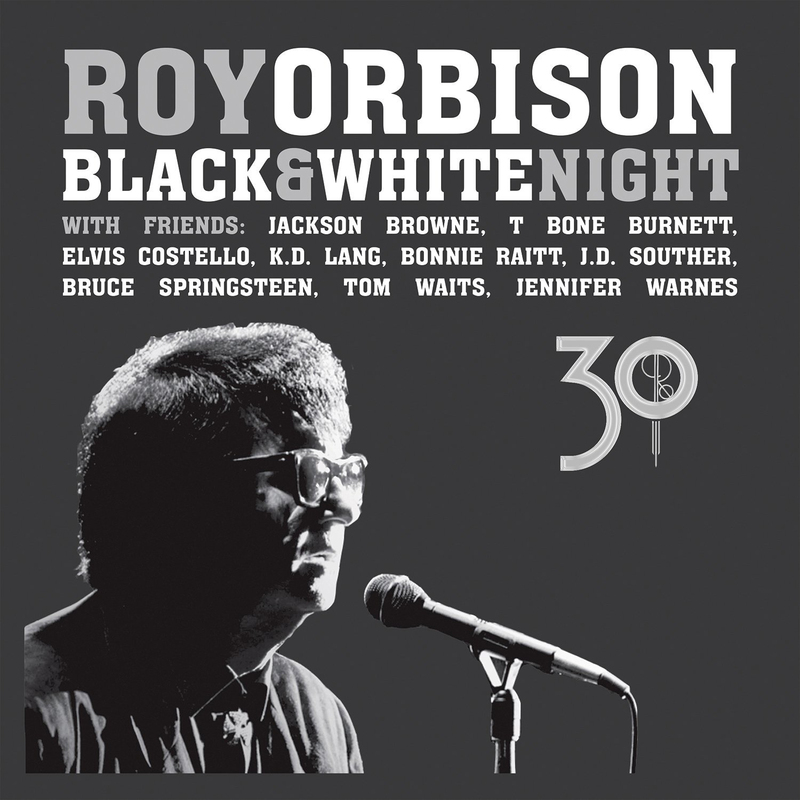 This latest release, Black & White Night (on both DVD and CD) is a classic concert performed by the late Roy Orbison along with some famous accompanists, and this nineteen track CD and twenty-six track DVD, complete with Bonus Secret Post Show footage is a treat for any fan, because you find yourself simply being caressed by the sheer magic of the late Roy Orbison’s voice. This release is the whole of his 1987 television concert which was set in a 1940’s nightclub and was both lovingly and artistically filmed in black and white so as to add to the atmosphere of the great event. What makes this concert so very special is the number of huge stars who are on this occasion acting as backing band to one of the greatest voices ever to grace the rock and roll stage. There are the likes of Jackson Browne, Elvis Costello, Bonnie Raitt and Bruce Springsteen to name but a few, who all ably assist Orbison. With newly edited footage, the viewer feels as though they are on stage with the performers, giving a closer look at what the star-studded backing band is doing while Orbison did what only Orbison did so well as his voice soars. The undoubted highlight was seeing a very young star-struck Bruce Springsteen having the time of his life, gazing at Orbison as though he was standing next to God. He almost faints when Orbison beckons him over to share his mic for a duet on Dream Baby (How Long Must I Dream). Even the most die-hard of Orbison fans would be hard pushed to find anything about this package that they didn’t like. All of the hits are there including Oh, Pretty Woman, Crying, Candy Man and Blue Bayou. The hairs on the back of your neck stand up when you hear the opening bars of Only The Lonely and from there it just gets better and better. This man must surely have possessed one of rock ‘n’ roll’s most unforgettable voices. Whether you are a fan of Roy Orbison or simply a lover of rock ‘n’ roll, his Black & White Night is a must to add to any collection.